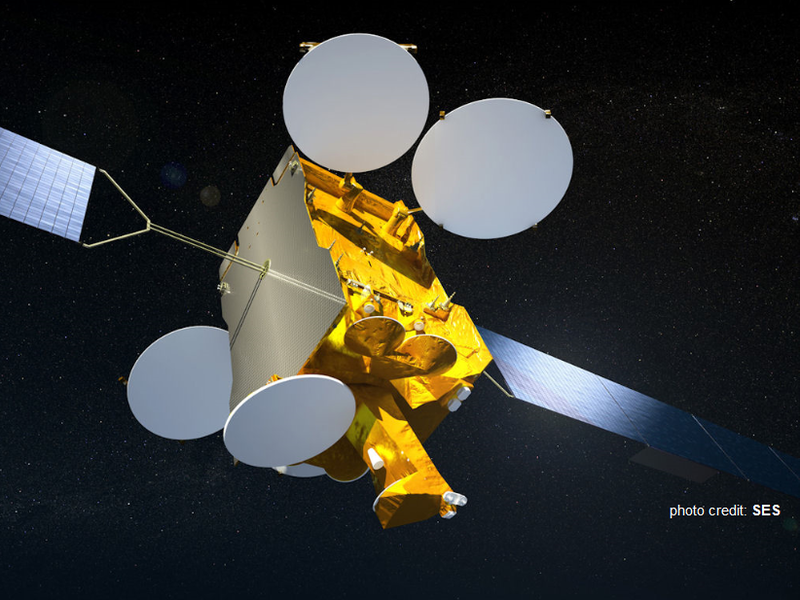 The SES owned Astra 2G satellite has successfully been launched and is now on its way into orbit to be tested before becoming one of the satellites UK and Ireland viewers will receive their satellite TV services from. International Launch Services (ILS) confirmed that Astra 2G launched successfully on-board an ILS Proton from Baikonur Cosmodrome (03:37 local time 28/12/2014 or 21:37 GMT 27/12/2014). In a press release the organisation confirmed: "The Proton M launch vehicle, utilized a 5-burn Breeze M mission design. The first three stages of the ILS Proton vehicle used a standard ascent profile to place the orbital unit (Breeze M upper stage and the ASTRA 2G satellite) into a sub-orbital trajectory. The Breeze M then performed planned mission maneuvers to advance the orbital unit first to a circular parking orbit, then into an intermediate orbit, followed by a transfer orbit, and finally to GTO. Successful separation of the Astra 2G satellite occurred approximately 9 hours, 12 minutes after liftoff." Astra 2G is the third and last of a three satellite replacement programme at 28.2-5 degrees East, joining Astra 2E and 2F in replacing the aging, first generation of satellites that originally brought Sky digital and Freesat channels into UK homes. There had been a number of stopgap solutions following the failure of Astra 2D, with Astra 1N being moved over to help out before Astra 2E and F could take over services. Astra 2A is still in service alongside Eutelsat 28A, both are at the end of their lifespan. In addition to providing capacity for channels which broadcast on Sky and Freesat via UK and Europe spotbeams, Astra 2G will also contain a spotbeam providing TV to West Africa and a spotbeam aimed at France for satellite broadband. Operator SES confirmed that the satellite will also support SATMED, a satellite based e-health platform, conceived by SES and supported by the Luxembourg Government and the Ministry for Cooperation and Humanitarian Action to improve public health in emerging and developing countries. According to SES, SATMED enables communication between doctors, thus enabling. the transfer and exchange of medical knowledge and supporting tools for medical e-learning and e-teaching. For Sky and Freesat viewers in the UK and Ireland, no disruption is expected by the launch of the new satellite. As was the case with Astra 2E and 2F, any affected services are expected migrate across to the new satellite during off-peak hours with a very short break in transmission. Until the new satellite has been thoroughly tested and moved into position, it is too early to state when these changes will occur and which channels they will affect. For viewers in Europe: Like Astra 2E and 2F, Astra 2G will provide broadcasters with the option to broadcast across most of Europe or confine their signal to the UK and Ireland with limited overlap into the continent. No changes to the limited coverage of the main UK free-to-air TV services following their migration to Astra 2E last year are expected.